Published just in this website. 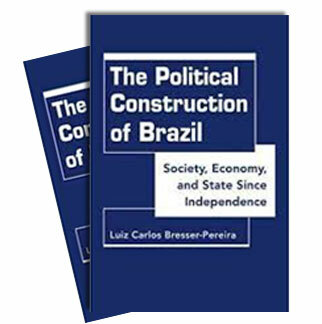 .Bresser-Pereira lists his possible theoretical sciences including economics. Below is the list of my possible contributions to economics and the other social sciences and the some of the works where these ideas were presented. I don’t include here my applied contributions to the analysis of the Brazil, other countries, and capitalist society. “The Dutch disease and its neutralization: a Ricardian approach” (2008). 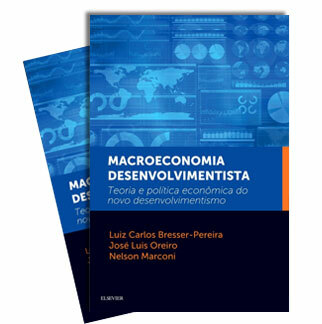 Developmental Macroeconomics (2016), with José Luis Oreiro e Nelson Marconi. Luiz Carlos Bresser-Pereira was born in São Paulo, in 1934. He has a PhD and Livre Docencia in Economics, by University of São Paulo. In the academic life, in 2006 he was designed emeritus professor of Getulio Vargas Foundation, where he teaches economics, political and social theory since 1959. His major influences come from Marx, Weber, Keynes, and from Latin American classical developmentalism. From the early 2000s, he is developing a new theoretical framework, New Developmentalism. In April 1987, in the aftermath of Cruzado Plan’ crisis, he became Finance Minister of Brazil; he conducted a stabilization plan, which came to be called the “Bresser-Plan” and proposed a general solution to the 1980s debt crisis that the US Secretary of the Treasury rejected, but 18 months turned into the Brady Plan. In the Fernando Henrique Cardoso administration, he was Minister of Federal Administration and Reform of the State (1995-1998), where he initiated the 1995 Public Management Reform, and, in 1999, Minister of Science and Technology, where he began the institutionalization of the Sectorial Funds. Since July 1999 he is fully dedicated to academic life. Besides teaching at Getulio Vargas Foundation, he is the editor of the Brazilian Journal of Political Economy since 1981. In 2010 he received the title of Doctor Honoris Causa by the University of Buenos Aires; in 2012, the James Street Scholar 2012 from the Association for Evolutionary Economics – AFEE; and in 2015, the Juca Pato prize from the Brazilian Union of Writers.